"Arsenal are the better footballers but Chelsea are the better, stronger team,"
"Arsenal are the better footballers but Chelsea are the better, stronger team. Looking at the two of them, Chelsea are far more experienced than Arsenal – far more experienced, a strong team, strong experience. That's the difference between the two teams. Both are six points behind us, both are our challengers. I have that slight preference for Chelsea because their fixture list is a wee bit easier. They were odds-on at one point for the Premier League and then they hit that blip. Credit to us because we took advantage of that. Chelsea have to come to Old Trafford and that's not going to be easy for them. Looking behind you is not a bad thing to do with our experience. You have to recognise who is behind you. You can't become complacent. It's good to know somebody is behind you and, in that sense, we use our experience. If we win against Everton that leaves us with only four games left and a minimum six-point lead. That's the way to look at it. You run out of games eventually." Interesting outlook from Fergie. No one can deny the fact that Arsenal are a fantastically talented football side. I have said it before, in my view are three players short of a Premier League winning side being a World Class Goalkeeper, World Class centre half and a World Class striker who will score 20 goals a season next to RVP. Saying that though, I did post on here that it was Arsenal's title to lose earlier in the season and it looks as though they have lost it now, but you never know in football. 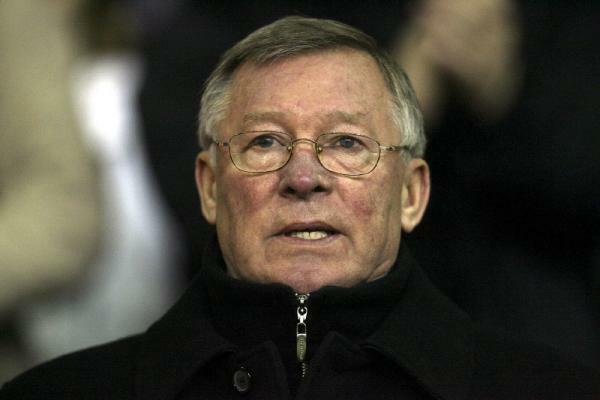 Fergie is right, you cannot beat experience and this is something us and United have over Arsenal. For years we had to fight against United when we never had experience of what it took to win a Premier League title and the same with Arsenal as they won titles. The problem for Arsenal is that United have evolved their squad and continue to build adding new players to the experienced players in their squad so always had players who knew what it took to get the job done and win the league. Arsenal never replaced their experience with players who had title winning experience in this country and that's where they have suffered. I am glad he has recognised Chelsea as the main contenders because playing our 4-3-3 formation w are strong, stronger than United as we proved at Old Trafford last season. United will harp on and on about the fact that Drogba's goal was offside but they know deep down we were better than them on the day. I am confident with the way we are playing that it will be the same this season at Old Trafford again though, as long as we play 4-3-3. One final point, Fergie is talking about beating Everton today to make it 6 points with 4 games left to play and us running out of games but he didn't mention the fact that two of the games are at Arsenal and then against us now did he!.